February 28, 2014 by Susan G.
We all love and understand the beauty of horses, but what about the importance of the aesthetics of the places we ride and keep our horses at? Do you think our surroundings have an effect on our own mental states as well as that of the horses? 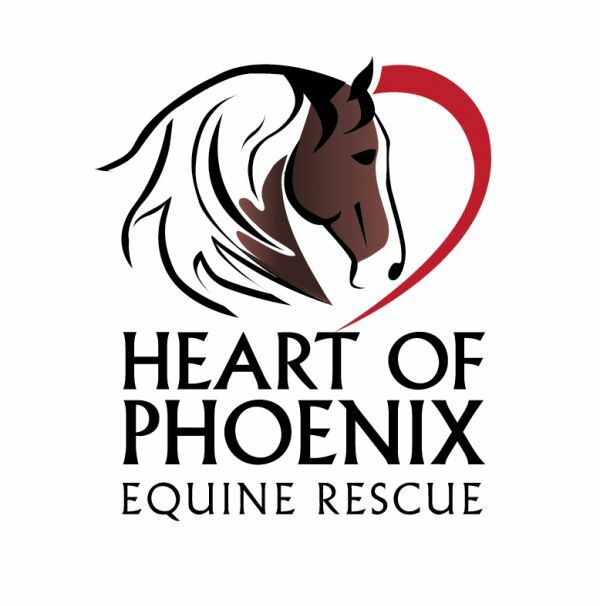 My personal experience has included everything from keeping horses in my backyard to boarding at less-than-ideal establishments to one of the most beautiful, peaceful equestrian centers you could ever imagine, and running several training barns. Speaking from such broad experience, I can share with you the insights I’ve gained about the effect of beauty, and ugliness, on both horses and riders. When I was 13 and still learning about having my own horse, my dad was transferred to another city. The former ranch horse that was now my “beginner mount” had to learn to live in a box stall for the first time in her life while her shed and paddock were being built at our new home. The closest barn was a dark, damp, wood-frame building with muddy paddocks and unscrupulous, horse-dealing managers. I don’t remember all the things that were said to me there, but I sure remember how I felt, and how spooky my normally-quiet horse was at this place. Not knowing too much made me vulnerable and the “helpful” suggestions were more like insults. All of the people seemed to be “up to something” and none of the horses, in my memory, were very happy. They were dirty, smelly, and the entire place was just unpleasant. I couldn’t wait to bring my horse home and luckily, we didn’t have to stay there for more than a couple of months. When we were transferred again a couple of years later and I needed to find another boarding barn, I found a home on a ranch for my mare, White Cloud, where she lived out her life in great comfort and truly in her element. 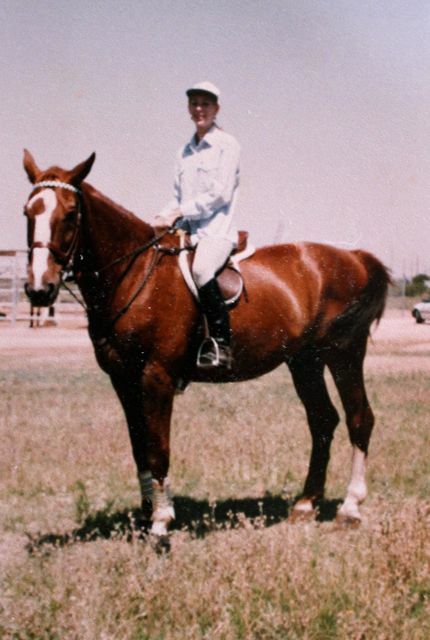 At 17 I had moved to the now-famous show jumping facility, Spruce Meadows, with my appaloosa colt. What a contrast to the stable White Cloud had experienced. I’d had an appaloosa filly at another barn in the new city and was not pleased with the environment there either. The horses were chased by the owner’s dog from the pasture into their stalls each night and my horse had been seriously injured as a result. The staff were unapologetic and I later found out they had not been giving the filly her pain medication for the hock injury she’d sustained. She also became terrified of men in cowboy hats. I don’t like having to go to a barn with the feeling that I’m likely to find something wrong with my horse, the place is a mess, the staff are angry, or the stress levels are so high that riding isn’t the joyful experience it should be. Walking into the barns and arenas at Spruce Meadows was like being in a cathedral. It even smelled different than any other barn I’d been in. The horses were bedded knee-deep in straw, and everything was spotless. Soft music played in the indoor arena and the temperature was kept constant, even in Alberta’s cold winter weather. I’d never been at an equestrian facility where the first words coming to mind were “elegant”, “beautiful”, “peaceful”, “grace”, and “calm”. We were required to keep our tack clean and hung a specific way and we followed a protocol that wasn’t so much rigid as it was to the benefit of everyone’s peace and wellbeing. The grounds were lined with gorgeous flowers and trees and it was always easy to let out a big breath and sigh of relief every time I drove through the gates. At this place, I found myself wanting to spend time there not just to enjoy my beautiful horse, but to rise to the level of elegance and old-world classiness – not an “elitist” attitude by any means – more like a kind of simplicity that allows you to settle into a calm, clear state of thinking and focus on what you are there for. When my colt turned two I started him under saddle myself, having observed the German riding master’s guidance of the stunning Hanoverian horses that had been imported and bred on site. Unless there was a show on, the peace and quiet could be counted on consistently and the horses also seemed to thrive both mentally and physically from the reliability of their environment. I never had to worry about being insulted, anything irresponsible happening to my horse, angry staff, or bad management that affected the entire chain of events down to the boarders and guests. It is no surprise to me that this establishment has won the accolades it has. Dr. Schoen has been the veterinarian to many major show barns and we have written about the importance of a healthy, holistic environment with the best quality of care and food provided for the horses. With the Principles of Compassionate Equitation, the kind of equestrian environment that supports the wellbeing of both horses and riders begins with caring, compassionate management and permeates the entire chain of day-to-day events at a barn. While it may sound difficult to get an entire barn of human personalities to become compassionate, we believe that not only is it possible, but a necessary step for the sustainability of our industry and our beloved horses. In today’s fast-paced, expensive, stressed out world, how could we not want to be in a “sanctuary” that supports our joyful interactions with horses, and helps us learn to extend that joy and compassion to all beings? 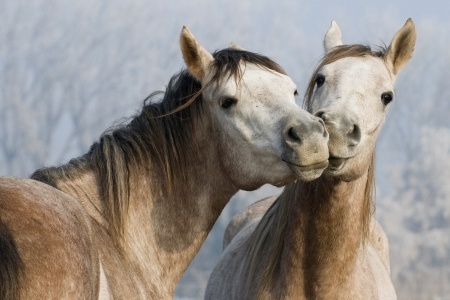 It is our wish that all horses and horse-people have the opportunity to live in health, happiness, and beauty. February 24, 2014 by Susan G.
I’m not sure if my last post made it to followers. It certainly didn’t get to my e-mail box so this is an extension to the story of how light, or photonic therapy, saved my horse’s life. The week after his series of three BioScan Light treatments was a happy week for Willy, and for me. He was able to roll again, his gaits were good, and he seemed happy. While of course the photonic therapy couldn’t eliminate all the lumps, bumps and turn the clock back to his youth, there was a spring in his step again and we were back in the saddle. I went from making a decision about whether or not to euthanize him to deciding how to celebrate his 25th birthday. Unfortunately as I led him through the barn one afternoon an aggressive mare lunged at him over the top door of her stall, surprising us both and catching Willy across his forehead with her incisors. She left a deep gash above his left eye that began bleeding profusely. Given his expression it obviously hurt quite a bit and I made a quick call to the vet. I thought this would need stitches given the width and depth of the injury. Willy – always letting you know how he feels! 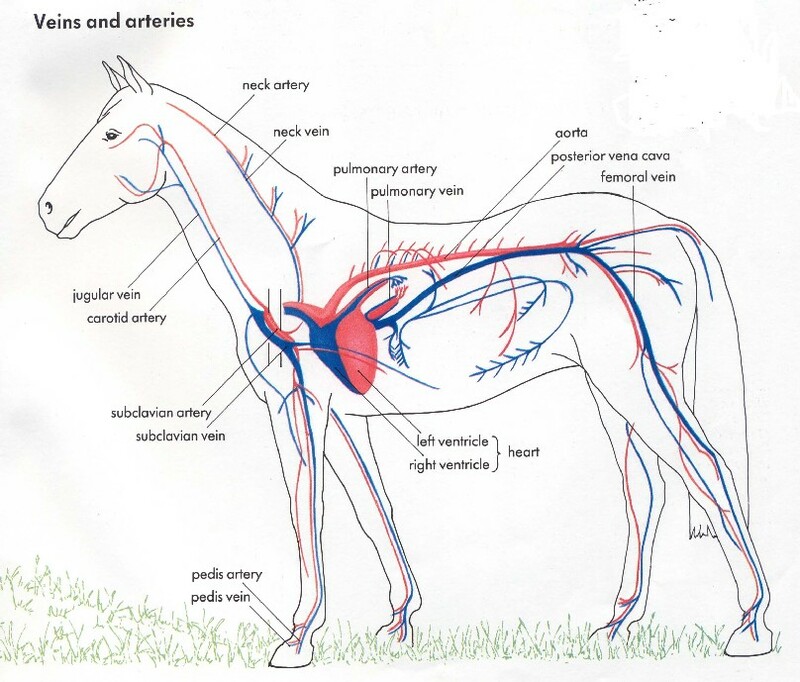 Describing the nasty wound, our old-fashioned country vet said he’d prefer not to put stitches in a horse’s head due to the risk of infection and the difficulty in bandaging the area and keeping it clean given the equine tendency to rub on such things. Like they do with show braids. He suggested keeping an eye on it and making a “fresh wound” after it scabbed over, repeating the process until it was healing cleanly. I put Willy in an empty box stall instead of returning him to the pasture with a rapidly-swelling, bleeding forehead and thought of the studies I’d read about the ability of red light to increase wound healing and tissue regeneration, to relieve pain and inflammation, and to prevent tissue death. The only problem was I didn’t have a device that could deliver the specific frequencies of light and I needed it right away. Willy was not going to let me anywhere near his head. Any attempts to clean the wound were met with pinned ears and a “don’t you dare” expression. Remembering I had a red bicycle light in the house, I thought I’d have nothing to lose by giving it a try. It was so low-level as to be well out of the infrared range, and it certainly didn’t pulse, but it was LED-based nevertheless so it was worth a shot, even if the effect was minor. I returned to the barn with the bicycle light in hand. Willy was still in distress and not wanting me near his head. That is, until he saw the red light in my hand. I held it up to him and his expression changed immediately. He literally dropped his head into my hand and allowed the light to be placed over the open wound. Obviously the memory of what he felt during the BioScan treatment was still fresh in his mind. I continued to treat the injury daily for a few days with nothing more than the bicycle light and was amazed at how quickly and cleanly it healed over. I pretty much left it alone after that and within 10 days the hair was growing back. The horrible looking wound needed no further treatment as it healed so well there was no scar, and no white hair as frequently occurs in horses at the site of a traumatic injury. After I had a device made with the correct frequencies, I’d offer it to Willy who would turn his body into the light pad and point with his nose, indicating where he wanted the diodes placed, or he would ignore it altogether, which I took to mean he felt just fine that day. 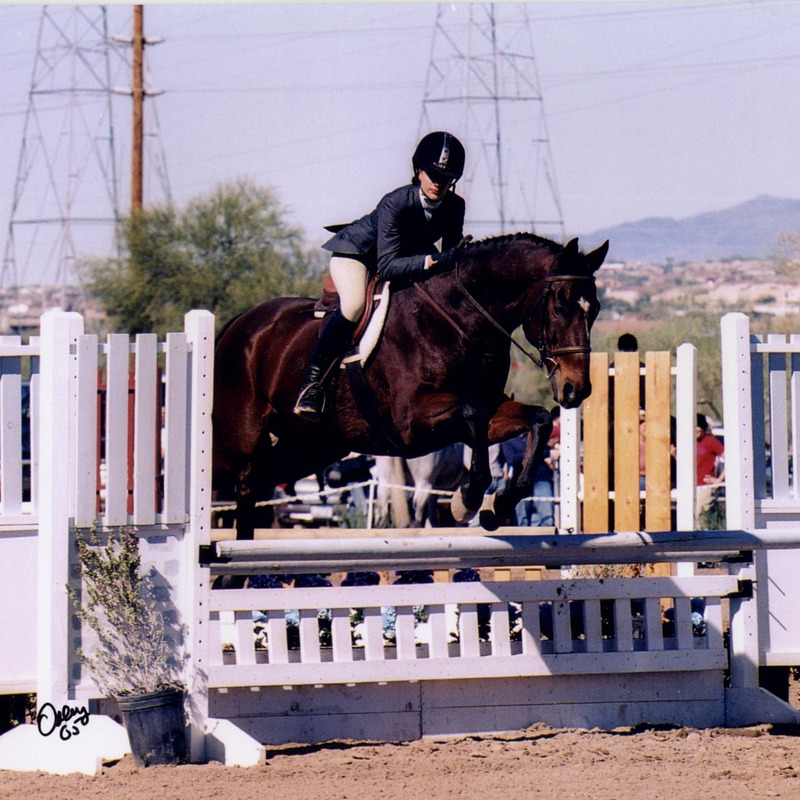 February 20, 2014 by Susan G.
In the late 1990s my aged Hanoverian gelding who had once been an upper-levels eventing horse and show jumper was retired to the job of a lesson horse. Old injuries he’d sustained in his younger years as a competitive athlete were catching up with him and his level of discomfort increasing. He had a large amount of scar tissue on the underside of his neck, bad hocks, spinal deformity and arthritic joints. By the time he was essentially bracing himself on two legs and not wanting to roll any longer, my options for his care and comfort were diminishing. I’d already rescued him from a trip to the slaughterhouse when he was 18, and was glad to have given him a good “second chance” in life and a far better ending than the one he’d been threatened with. I thought maybe he’d reached “the end” for sure this time and was considering euthanasia. 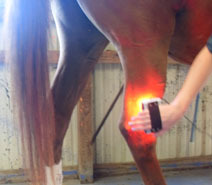 Given the results I’d seen with light therapy in humans and other animals however, I decided to give it a chance as a new company had emerged at the time with a system designed specifically for horses. For some who may not have been introduced to Low Level Laser Therapy*, this might sound like it’s straight off the Holodeck of the Starship Enterprise. I can assure you of the science behind it however, and will present both anecdotal accounts from my own experience with this remarkable healing modality as well as scientific references. Oh yes, and if you search for the opinions that say it isn’t effective or that there isn’t supportive research, you’ll find them, and generally they stem from sources who don’t actually quote the lengthy list of well-funded studies that do prove the known mechanisms and successful case studies, in particular the currently FDA-approved monochromatic red wavelengths. Everyone comes through their own belief systems, even scientists. However, I’ve now used the technology for over 20 years and still use it to speed up the healing of sports injuries, wounds, and dental surgery. Results are consistent with both humans and animals in my experience. I was personally introduced to photo-therapy, or the application of colored light, via Dr. Jacob Liberman O.D., Ph.D, D.Sc. (hon), (author of Light; Medicine of the Future http://www.jacobliberman.org/jacob/bio/). He invited me to attend the annual conference and professional training session of the College of Syntonic Optometry in 1991. I then experimented with the specific frequencies of visible light on myself, on waterfowl that were rescued from various states of illness and injury and brought to our ranch, as well as dogs, cats, horses and anyone who wanted to try it for themselves. Over and over again the results were nothing short of miraculous. The originator of syntonic phototherapy was Dr. Harry Riley Spitler, D.O.S., M.D., M.S. 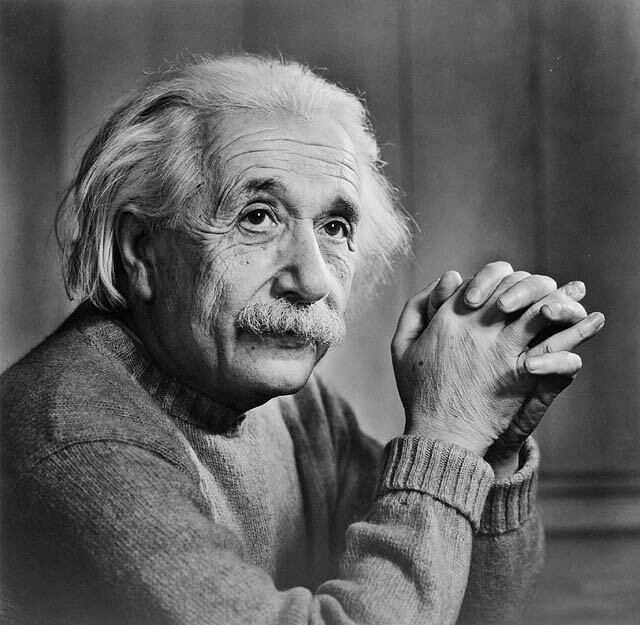 Ph.D who first published the Syntonic Principle in 1941. Scientific research that began in the 1920s speculated that the power of light was primarily transmitted to the core of the human organism via the organ of sight – the eyes. Dr. Spitler theorized in great detail the role of the eyes in phototransduction, as well as the role of light and color in total organismic function and development. Most of his work has been scientifically validated, and that of the work of many others in the field. Their collective bodies of work have formed the foundation for today’s most advanced approaches to light therapy. The issues up until the 1990s were conflicts between the FDA, DEA, and classifying both the devices and frequencies of light into their respective categories of drugs and medical devices. It was NASA’s work in developing the technology with the Marshall Space Science Centre and Dr. Whelan that brought at least a portion of photonics research into the mainstream. After I was trained in the application of colored light through the eyes, I made a set of filters and worked with those and a light source. The technology that emerged at the time my Hanoverian, Wilhem, was literally on “his last legs” was that of BioScan Light, then out of New Mexico. The application was quite different than what I had been taught, but understanding the mechanism of light on the cells of the body made me call a local woman who occasionally rode at our barn and had been through the BioScan training. Desperate, I called her and had her come out to treat Willy. I found the scanning unit took quite a long time and when Sandra was finished the initial session, Willy had dots of grease pencil all over his body. 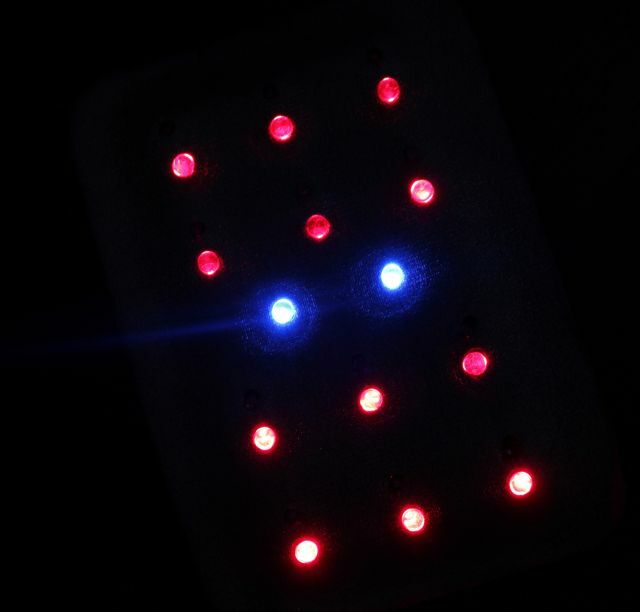 Then she treated each dot with a cluster-head set of red LED lights. I noticed he immediately began taking deep breaths and almost fell asleep in the cross ties. His whole body relaxed so much by the end of the session he looked like a different horse. I was anxious to see how he moved. His tail was up for the first time in quite awhile. It had been clamped in chronic discomfort as his soundness deteriorated. As it turned out, the old scar tissue under his neck had been causing him more pain than I’d originally thought too. Conventional veterinary medicine had done all it could for this horse, saving his life when he was injured after flipping over a cross-country fence and splitting his neck near the jugular vein. His hocks had been x-rayed, determining the condition they were in and finding a bone spur, and the farrier did everything he could to put a good, supportive foot under the big gelding’s aging body. Everything else Willy needed, he got, but life had caught up with him and it was time to find an alternative and compassionate way to make him comfortable, or else let him end his life in peace. After Willy’s first light treatment I put him back out to the pasture with the other old horses and he proudly marched to the middle of the field, stood up square like a statue, then took off in an elevated trot towards the horses. I was amazed to say the least. The other horses saw him coming and they all took off running too! Sandra came back two more times and each time the number of grease-pencil dots from the Bio-Find unit decreased. I noticed the old scar tissue softening under Willy’s neck. The real test would come when I put him into one of the outdoor pens that he loved to roll in, but hadn’t done so in months. I believe he thought he might not be able to get back up from the deep, soft dirt, once he got down into it for a roll. Sure enough, after the final treatment I put Willy in the turnout and he immediately tossed a big hoof-full of dirt into the air. That was the signal he was going to drop and roll. He pretty much had a big grin on his face, as much as a horse can actually smile, then collapsed into the dirt and rolled, and rolled and rolled! I knew from that point on he was going to be alright. He stayed serviceably sound and remained bright and happy. The other horses seemed to enjoy hanging around him more as well. He even managed to commandeer two of them to swat flies from his face out in the pasture and his gentle nature made him a favourite for babysitting youngsters, sick horses and horses that needed to calm down. I had an LED pad custom made and began to experiment on other horses, some with horrendous spinal deformities, dropped hips and sacroiliac displacement. The results were consistent and every horse improved, some dramatically, even just using this very basic, simple version of light therapy. It is a completely non-invasive, gentle method of remediation for injuries involving soft tissue and seems to help with joint stiffness as well as reducing the effects of old scar tissue. I noticed the spine and hips realign, most likely due to the release of tightness and muscle damage that was pulling the musculoskeletal system out of alignment, allowing the bony structures to move back into a more normal state. The horses all showed a marked increase in their ROM (range-of-motion). In recent years, many new companies have emerged and new research and information continues to support the use of LLLT. Dr. Schoen and I are looking forward to following the progress of the latest devices to enter the market for advanced and professional delivery of red light for the healing of horses. Dr. Schoen and myself both recommend a thorough veterinary workup if your horse exhibits signs of pain or lameness or is otherwise in apparent distress as there could be many causes. A good lameness veterinarian is invaluable to every horse owner and sometimes they may recommend a second or third opinion also. It isn’t unusual to find several causes of lameness in a horse and some are very difficult to diagnose. As each practitioner comes from their own areas of expertise, you may find putting a good diagnostic team together the most compassionate thing to do for your horse’s wellbeing. This includes a neurologic workup and checking for Lyme Disease if your horse’s behaviour has changed and he seems to have chronic, yet indeterminate symptoms of discomfort. LLLT works wonderfully in conjunction with conventional medicine and is highly applicable as a supportive mechanism for speeding up healing along with standard protocols for treating sport-related injuries, wounds and post-surgical conditions. 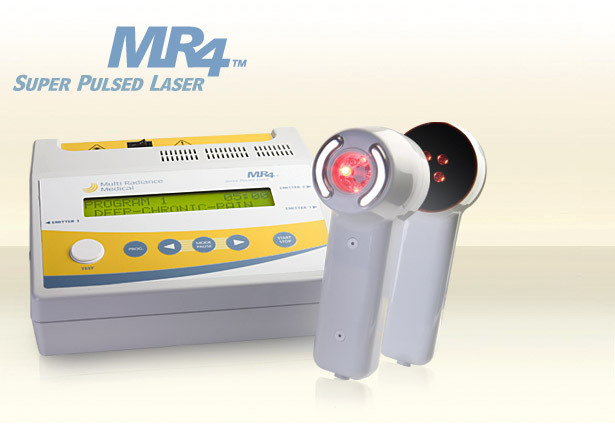 *Laser Therapy is a form of phototherapy which involves the application of monochromatic light over biological tissue to elicit a biomodulative effect within that tissue. Low-level Laser Therapy (LLLT) – the most widely-used name given to this form of photobiomodulation – can have both a photobiostimulative effect and a photobioinhibitive effect within the irradiated tissue – each of which can be used in a number of therapeutic applications. February 5, 2014 by Susan G.
Whenever we get on a horse, whether it’s the first ride or one of many hundreds of rides, we have to put some degree of faith and trust into the fact that the horse won’t cause us harm. After all, so many things could go wrong when mounted on a 1000-pound animal that could take a misstep and fall, stop and duck out of a jump, throw a bucking fit, bolt, or any number of potential scenarios that might end with us and/or the horse injured. So what is it about the brain and mind of a rider that allows us to place our faith in an animal, trust that it will help keep us safe from danger, and in fact, have a truly pleasurable time throughout our interactions with it? 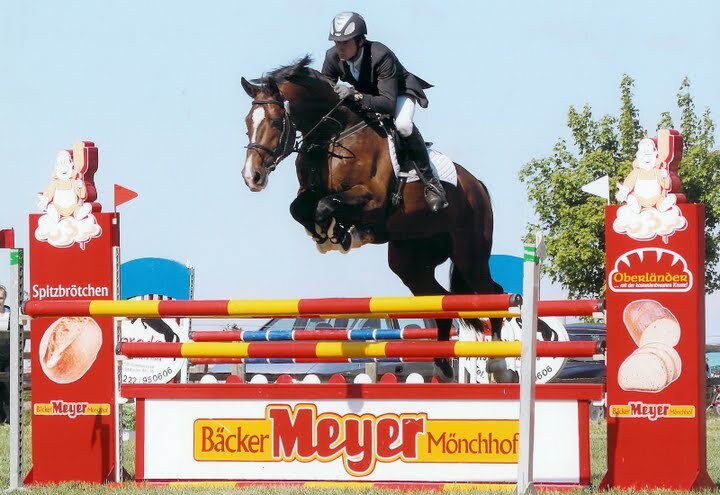 Free-jumping the young stallion, Clarucci C.
In the world of show jumpers and three-day eventing horses, the “danger” factor increases exponentially and so many elements have to work together to produce the best performances. In the beginning of a jumper’s career, the trainer has to have faith that the horse wants to jump, can jump, and will stay sound long enough to make it to the pinnacle of its jumping potential. It doesn’t take much of a set-back for that faith to be shaken. One needs a tremendous amount of fortitude, skill, and faith to start with an untrained horse and make it into an athlete willing to go airborne while packing a human on its back. I suppose the horse has to learn to have a considerable amount of trust in its rider as well. It’s always been amazing to me that a horse will jump obstacles for a human at all, as I wouldn’t say it’s something they’d “naturally” want to do. There’s an absolute heart-pounding thrill whenever a jumper takes hold of the reins and actually pulls you to a big fence, as all of the good ones will. They genuinely want to get there and then get to the next one. 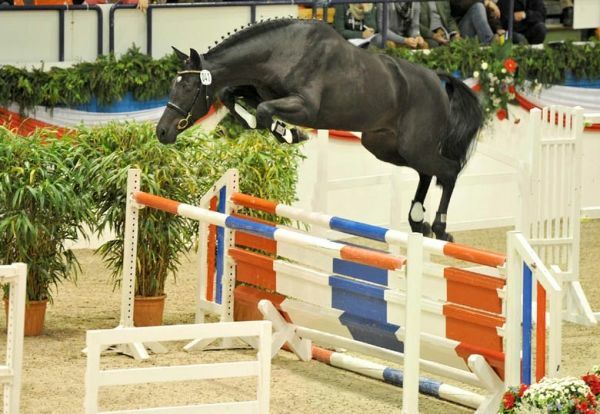 A seasoned show rider will tell you a great jumper feels “bigger” as they enter the arena. They pump themselves up and are looking for where that first fence is going to be. It’s certainly easier to place your trust in a horse that is willing and ready to take you around the course than one who isn’t. Everything else comes down to your faith that the training and preparations have been sufficient to support the horse’s – and the rider’s – desire to complete the jumper or cross-country course without incident. A lot of mental preparation goes into every athlete’s performances, but I believe the uniqueness of competing with a partner who isn’t human adds an extraordinary element and a level of faith and trust that non-horsemen would have difficulty comprehending. There’s just nothing to compare to sitting on the back of a living being galloping full speed to a large, solid obstacle, and trusting that it will leap cleanly, land safely, and carry on galloping to the next fence. Many years ago when I was riding a lot of horses every day and training for bigger jumping competitions, one of my thoroughbreds tripped and fell over a small 2-foot, 6-inch single-rail vertical fence that we’d trotted into. Had I not rolled out of the way when he came down he would have fallen right on top of me. We were both uninjured, but I was definitely shaken. It took a long time to get over the incident and regain my confidence over low, slow-approach jumps, not just on this horse, but any horse. I could gallop down to the big fences but remained apprehensive every time I had to begin trotting warm-up jumps. This is why we believe it’s so critically important to approach the horse and its training from a foundation of compassion, and treating the horse as we would wish to be treated ourselves. If the horse is stressed, overworked, and resentful of the pressure put on it, how could we not expect a mishap or refusal at some point? Horses can be pushed both mentally and physically to the point of a complete breakdown and become distrusting of their humans to lead and guide them through a course of dangerous obstacles. Then what do you do with those horses? We feel it’s best to be as compassionate as your abilities and skill levels allow and always trust yourself to recognize when your faith in a particular horse may also be misguided. Not all horses have the training background, conformation, movement, or mental prowess to perform the activity or level of activity the rider and trainer is hoping for. 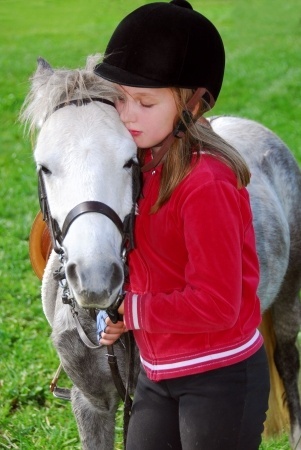 If they do have all the qualities, and errors are made in the training process or trauma of some type occurs along the way, trust may be lost and the horse may or not allow itself to be re-schooled for the same activity or might not be able to reach the levels originally intended. 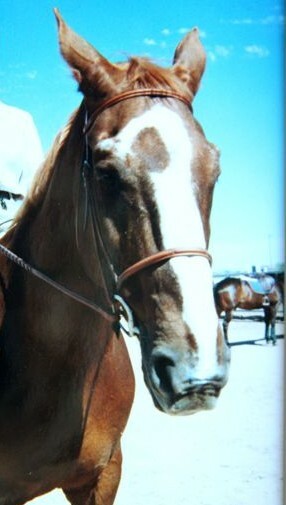 The thoroughbred who fell with me, Dusty, was a former racehorse. His second career was that of a field-hunter, where both his good nature and athleticism were useful, and I thought the combination would also make him a successful show jumper which is what I’d purchased him for. He could sail over huge fences with ease but there was something I just couldn’t trust about his form and the feeling I got over bigger jumps. It may have even stemmed from an undisclosed injury or previous accident on the track or hunt field. The fall took away the remainder of my faith in him to make it as a jumper so we re-evaluated and leased him to a junior rider who was quite successful with him in the 3-foot hunter classes. There’s always a convergence point in the training of the horse where a compassionate trainer will either say “this horse is done”, “this horse needs a rest”, or “this horse is coming back beautifully from its set-back and we can move forwards”. Trust is a fragile thing when the minds and hearts of two species must work together to understand each other and find a common language that allows the two to have faith in their abilities to keep one another safe and happy. Dr. Schoen’s methods for quieting the mind and taking a slow, mindful approach to the care and training of horses is a wonderful practice to make a habit of each time we work with a horse. If all trainers would also take a few moments of quiet contemplation when working with students and their horses, they might be quite pleasantly surprised at the level of trust those students will then exhibit towards their horses and the instruction they are receiving. A calm mind and open heart create an atmosphere highly conducive to receptivity and learning, as scientific studies are now proving. We love the “Just One Thing” newsletter by neuroscientist Rick Hanson. We can apply his insights to the equestrian world and our horses in so many ways. Below is his current post with a couple of valuable exercises you can do as suggested or alter a few words to reflect having faith in your horse, your ability as a rider and trainer. Consider the most positive qualities of your heart and how having faith in yourself can translate to wonderful experiences with your horse and your riding as well as everybody you encounter and inspire as you go about your daily activities outside of the world of your horses. Try a little experiment: in your mind or out loud, complete this sentence a few times: “I have faith in _________.” Then complete another sentence a few times: “I have no faith in ________.” What do faith – and no faith – feel like? Faith comes from direct experience, reason, trusted sources, and sometimes from something that just feels deeply right and that’s all you can say about it. You could have faith in both biological evolution and heaven. Sometimes faith seems obvious, like expecting water to yield each time you prepare to dive in; other times, faith is more of a conscious choice – an act of faith – such as choosing to believe that your child will be all right as he or she leaves home for college. What do you have faith in – out there in the world or inside yourself? Without faith in the world and in yourself, life feels shaky and scary. Faith grounds you in what’s reliable and supportive; it’s the antidote to doubt and fear. It strengthens you and supports you in weathering hard times. It helps you stay on your chosen paths, with confidence they will lead to good places. Faith fuels the hope and optimism that encourage the actions that lead to the results that confirm your faith, in a lovely positive cycle. Faith lifts your eyes to the far horizons, toward what’s sacred, even Divine. Putting too much trust in the wrong places, such as in people who won’t come through for you, in a business or job that’s unlikely to turn out well, in dogmas and prejudices, or in a habit of mind that harms you – like a guardedness with others that may have worked okay when you were young but is now like walking around in a suit of armor that’s three sizes too small. So, first make a list of what you do have faith in – both in the world and in yourself. You can do this in your mind, on paper, or by talking with someone. Next, ask yourself where your faith might be misplaced – in dry wells or in dogs that won’t hunt. Be sure to consider too much faith in certain aspects of your own mind, such as in beliefs that you are weak or tainted, that others don’t care about you, or that somehow you’re going to get different results by doing pretty much the same old things. Then pick one instance of misguided faith, and consciously step away from it: reflect on how you came to develop it and what it has cost you; imagine the benefits of a life without it; and develop a different resource to replace it. Repeat these steps for other cases of misplaced faith. Second, make another list, this one of what you could reasonably have faith in – in the world and in yourself. These are missed opportunities for confidence – such as in people who could be trusted more (including children), in the basic safety of most days for most people, and in your own strengths and virtues. Then pick one and see if you can have more faith in it. Remember the good reasons for relying upon it. Imagine how more trust in it will help you and others. Consciously choose to believe in it. Try to have more faith in the best parts of yourself. They’ve always been faithful to you. Just One Thing (JOT) is the free newsletter that suggests a simple practice each week for more joy, more fulfilling relationships, and more peace of mind.A small thing repeated routinely adds up over time to produce big results.